I love beer and cider. After now having visited over 390 different breweries and cideries, it’s fair to say I have sampled a lot (follow me on Untappd). From post-race pints and run club meeting locations, to beer miles and relays, running and the kegged nectar seem to go hand-in-hand in Oregon. Our Kegs and Legs feature is where beer drinking runners like me can go to find some new favorite beverages. I remember the first time I made it to Ecliptic Brewing in North Portland. They are just up the road from Widmer, near the crest of Mississippi Avenue. They were in a large rectangular warehouse and there was little surrounding them. It was seemingly an odd area, a sparse middle ground between the hub of the shops and restaurants on Mississippi and up the hill (and not quite stumbling distance) from Widmer. Fast forward a few years, and this is becoming one of the more developed spots in this area of town. Apartments are going up in droves and Ecliptic is almost the centralized force amidst this forthcoming living explosion. Someone there had some great foresight! They had, and still have, an astronomy theme with their logos, decorations, labels, and beer names completing the all-encompassing theme. I remember being super impressed right off the bat with their beers, and it isn’t surprising why. 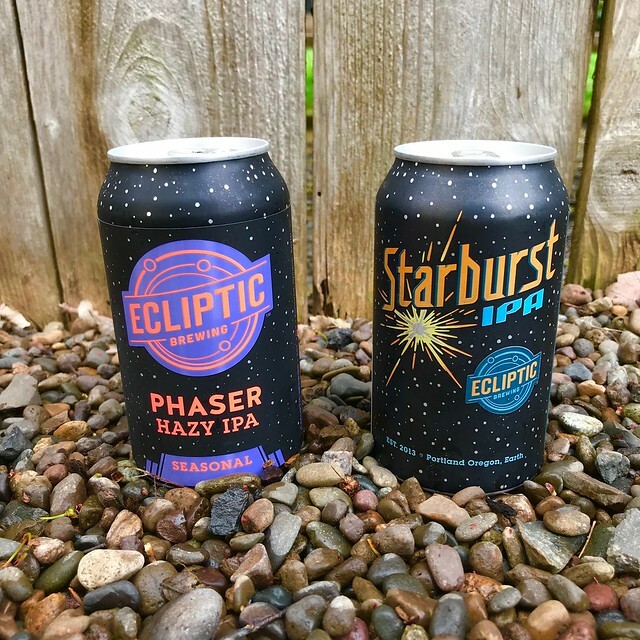 Ecliptic comes with years of brewing experience thanks to John Harris, essentially an icon in the Oregon craft brewing industry. He started brewing at McMenamins, moved on to Deschutes (where he created the recipes for Mirror Pond, Black Butte Porter, Jubelale and Obsidian Stout), and followed that up with 20 years at Full Sail. Needless to say, John is a legend. And the beers at Ecliptic definitely showcases this experience. Starburst IPA was the first Ecliptic offering to be canned and has been in bottleshops for about a year now. This is such a solid IPA – a perfect marriage of hops and citrus (I smell and taste orange), if I do say so myself. Even at 75 IBU, I did not find it overpoweringly hoppy, and it continued it’s refreshing balance through the sip. This is one that is easily crushable and is equal parts perfect for sipping on the patio on warm spring day or pairing with dinner during a rainstorm. 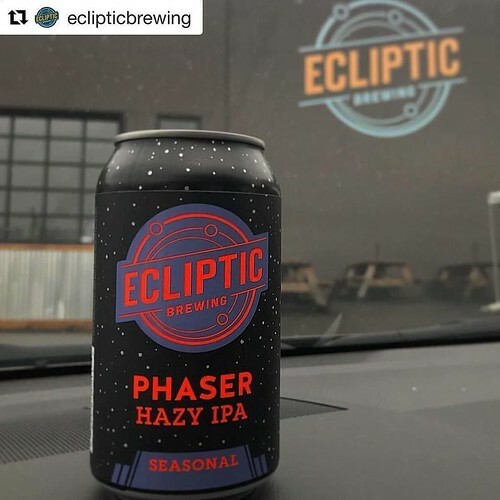 Phaser Hazy IPA is a newly canned seasonal that has been a hit with some of my beer drinking buddies. It was released around the beginning of the year and has really become a favorite for me. It is, obviously, a part of the current “haze craze” and pours a cloudy yellow/orange with smells of tropical citrus. It’s pretty dang creamy and juicy, with a muted hoppiness that stays smooth from start to finish. Ecliptic is also very in tune with the running scene. 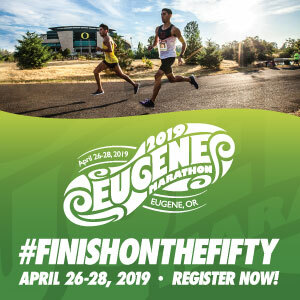 They are hosting an Oregon Brewery Running Series 5k event again this year (May 12), and they were also the start & finish for a previous running of the Gorgeous Portland Pub Relay. 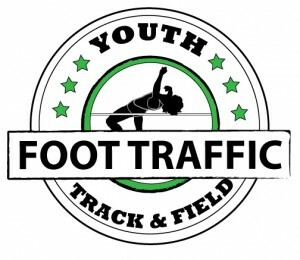 Definitely stop in for a beer/run soon!